We’ve discussed fiberglass doors on our blog before, specifically when comparing them to metal doors. In that article, we compared the construction of a fiberglass door to that of a boat hull, which demonstrates the strength you get from these doors. However, there’s a lot more that goes into these doors, and we’re going to discuss that here. In this article, we’re going to take a look at all the components of the fiberglass door, and why each one is vital in your decision to buy this type of door. The first thing you need to know about fiberglass doors is that they’re strong. Very strong. In fact, when properly installed, fiberglass doors offer twice the screw holding strength of a wood door. These doors can take a beating. Door security usually isn’t about the door itself, it’s about the frame. Most often a door isn’t defeated by breaking the actual door, but by breaking how it’s attached to the house. By offering superior screw holding strength, fibreglass doors aren’t going to come down easily. The reason fiberglass doors are so strong is that fiberglass itself is a very strong material. You may wonder why it’s so strong since glass itself can be very brittle. Well, in the case of fiberglass, there’s strength in numbers. Glass fibres snap really easily. However, when you pair them with thousands of other strands, they become a whole lot tougher. These strands are then woven together in opposite directions to make them really strong – a lot like your shirt is woven together. 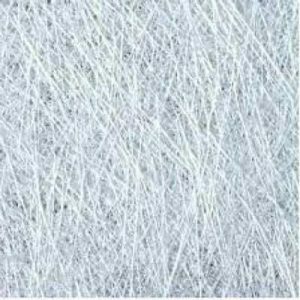 Once you have a fiberglass fabric, you put several sheets together, apply some resin to bind them, and wait for it to harden. After it hardens, you have a sheet of fiberglass that is only a few millimetres thick, but extremely strong. Another reason fiberglass doors are so strong is that you’re taking two extremely strong pieces of fiberglass, and sandwiching some rigid foam between them. The foam is also what gives the fiberglass door a little more insulation than a wood door, approximately an R-8 for a fibreglass door vs R-2 for a wood door. The foam is not just there for insulation, it’s also there for strength. Hardened foam is extremely durable especially when it’s protected by two pieces of fiberglass. The door is so strong, it’s why most manufacturers will claim their doors don’t dent or warp. Fiberglass doors also come in variety of styles. Many times the doors are made too look like wood doors, where you’re able to get the wood look and texture, without the weight and cost. You’re also able to get fiberglass doors you can paint and stain. Really, the choices are endless. The best way for you to understand a fiberglass door is to see it for yourself. Drop by our showroom and we’ll be able to walk you through each of the layers. We’ll also be able to give you an idea of what’s possible in terms of style. As a custom door manufacturer, there’s very little we can’t do!